ACTING Prosecutor General Mr Kumbirai Hodzi turned half blind after opening a letter from an anonymous person, which he found on his desk. It remains a mystery how the letter, which was addressed to him, circumvented the security checks at his offices and found its way to his desk. Upon touching the document, Mr Hodzi said his eyes and nose started itching. After visiting a specialist, one of his eyes was confirmed to have lost sight by 90 percent. Mr Hodzi, who is in the running for the PG post, revealed this during last week's public interviews for the post. Responding to questions relating to the challenges he was facing, Mr Hodzi said the incident was an attack on his person. "The document was delivered to my office," he said. "Security checks were circumvented and we do not know how it got to my table. "When I opened the letter to read it, I also touched my eye. It became itchy. My nose also started itching and I bled from the nose. My eye lost sight by almost 90 percent. The condition of my eye kept on deteriorating until I had eye surgery." 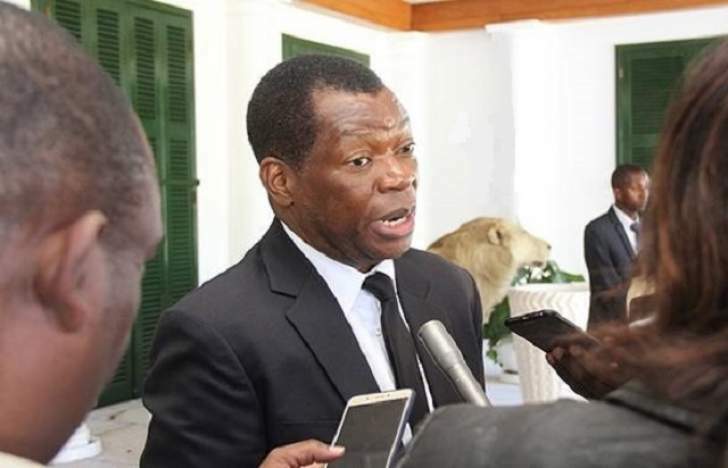 Mr Hodzi said he had reported the case to the investigating arms and investigations were still underway to establish the real cause and possibly the perpetrators. "We are still trying to find out who introduced it," he said. "Investigations are still in progress to establish the truth of what really transpired." Mr Hodzi, who has declared war against corruption through taking a number of high-level corruption cases to court, told the interviewing panel that he suspected the hand of corrupt elements to be behind the attack. He said since his appointment to the post in an acting capacity, at least 27 high profile corruption cases had been taken to court. The panellists questioned the quality of the dockets. Ten lawyers participated in the public interviews on Thursday last week and the process spilled into the early hours of Friday. The 10 candidates were: Mr Hodzi, Mr Misheck Hogwe, Mrs Florence Ziyambi, Justice Maphios Cheda, Mr Tinomudaishe Chinyoka, Mrs Wendy Chingeya, Mr Tichaona Mantsebo, Ms Jessie Majome, Mrs Noria Mashumba and Mr Edmund Marondedze. The panel comprising 11 commissioners of the Judicial Service Commission is expected to select the best candidates and recommend them to President Mnangagwa for appointment. The PG vacancy arose following the resignation of Advocate Ray Goba in August this year. Adv Goba resigned while on suspension on a host of allegations of misconduct.